Who isn’t familiar with Hemmings Motor News? It’s one of the premier publications dedicated to the topic of car collecting, classic cars, and car enthusiast interests. The publication started in 1954 by Ernest Hemmings and quickly rose to prominence and popularity. Nobody in the business has more clout. It is the oldest and the largest of it’s type. Over the years, Hemmings has come out with various other magazines, all catering to other specialized areas of the car enthusiast interests. Publications include Hemmings Classic Car, Hemmings Muscle Machines, and Hemmings Motor News. If you have an interest in anything on four wheels, odds are, Hemmings has featured it or discussed in one of their publications. The most popular coverage includes classic car auctions, clubs, collector car shows, rallies, swap meets, exotic cars, American muscle cars, European sports cars, and racing cars as well. If you are into restoration, modifications, and custom work, they cover the mechanical aspects thoroughly as well. They address all aspects of restoring old cars to their vintage past, and provide the details necessary to bring back the fine automobile to it’s historic beauty and show winning luster. And of course they have a popular web site for classic car buffs. You’ll find past issues there along with videos, archives and more content for the avid car enthusiast who just can’t get enough. 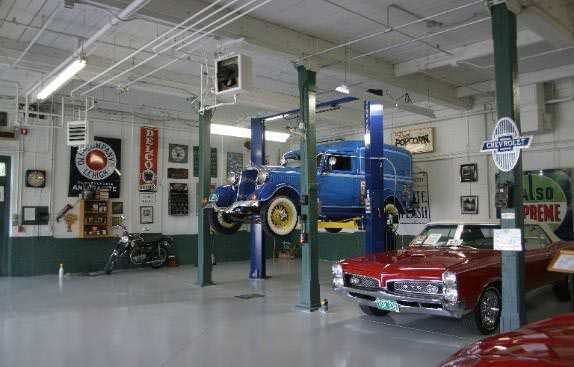 When Hemmings Motor News needed a car lift for their classic car museum, they contacted ASEdeals because they knew they could count on us to provide them with the best product for their situation, and that we could provide them with the best installation service as well. When Greg Gordon from Hemmings contacted ASE asking for advice on what type of lift to obtain for their museum, we recommended one of our Bendpak two post lifts. There were many factors that went into offering that recommendation. Bendpak is one of the largest and most popular automotive lift manufacturers on the planet, and their quality is unquestionable. Plus, their lifts are ALI certified, recognized and inspected for their quality and safety standards by the only authority on the subject – The Automotive Lift Institute. 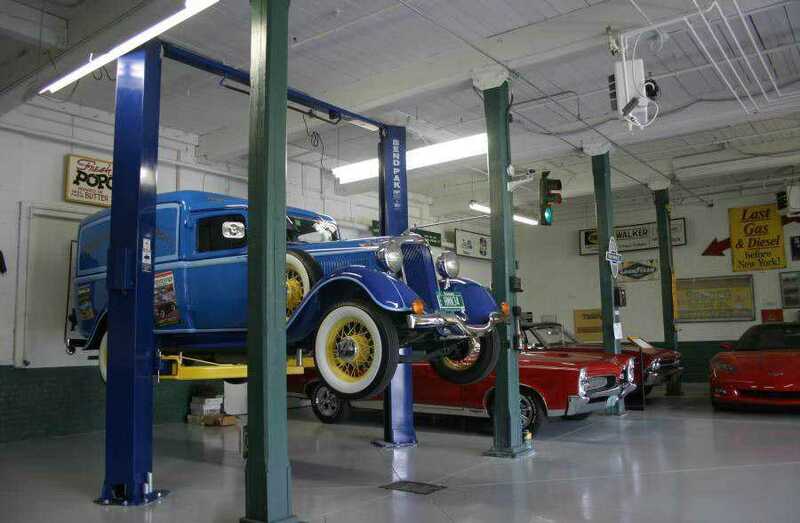 “When we decided to convert a section of the Hemmings classic car museum into a functioning shop, one of first pieces of equipment on our list was a lift, and we wanted it to be reliable. BendPak lifts initially appealed to us because of the company’s commercial garage experience and when Automotive Service Equipment directed us the model XP10ACX we felt we had found the right unit. Our lift was professionally installed and we were very impressed with the quality of the unit. We’ve been using the lift for a few months now and it’s serving us very well, providing exactly what we’ve been looking for. Thank you ASEdeals.com for directing us to the perfect fit for our application”. Hemmings actually ran an article about the entire experience, including the installation as well. Now, let’s talk about the Bendpak 2 post lifts. The Bendpak XPR-10 lifts offer a host of features that you will not find on any of the typical, cookie-cutter hoists out there. They offer a rugged single piece column, with a super tall 53 inch lift carriage for superior strength, and a direct-drive lifting system, which is the most reliable system available. Double diameter pulleys for the equalizer cables means that cable life is double what it would be on normal lifts. Plus, the frame engaging pads have a rubber saddle cushion to protect the underside of the vehicle frame. Another handy feature on those pads is they have a screw mechanism under them that allow you to adjust the pad height up or down by up to 2.5 inches. In addition to the screw pad capability, the lift also comes standard with a 2.5″ extensions to help reach around running boards, frame members, or pipes to get at automobile jacking points. Triple telescoping arms in the front of most models allows for more reach when extending the arms to get at longer automobile jacking points, and the capability of setting the lift up at a wide, or a narrow setting adds for great versatility. We recommend setting it up at the wide setting in most situations, as it makes many functions easier, and really doesn’t reduce your capabilities in most situations. The most popular feature is found on the XPR-10AS. This is the 10,000 lb. capacity asymmetric model. They manufactured it with the added capability to also position the auto symmetric if the need arises. This truly versatile features makes this lift the most popular model of all the Bendpak 2 post lifts. Bendpak lifts are backed with a 5/2/1 warranty, and don’t worry about parts. They’re always available. Even on older, discontinued models. So choose the lift that Hemmings chose. And purchase from the dealer that Hemmings chose. If it’s good enough for the finest automotive publication in the USA, then it should be good enough for your garage. And don’t forget, we sell, service and install nationwide. Contact us today at 800-229-6218.